Fundraiser by Matthew Spindler : Ox to Fox- Let's Get This Neon Fixed! Ox to Fox- Let's Get This Neon Fixed! How about a New Year’s resolution we can all work on together? Depending on which direction you’re looking from, our tower lets downtown know we are the "Ox", the “Fo”, the “Fox” (while blinking), or nothing at all; and not to mention our clocks. 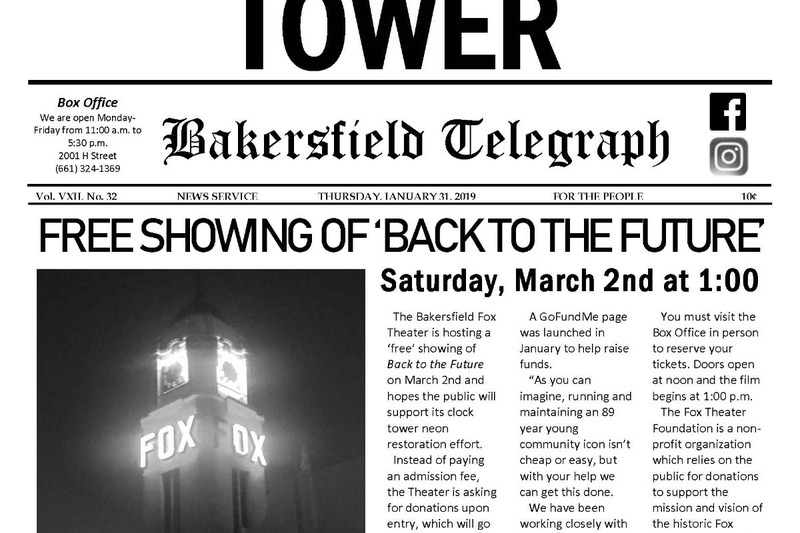 The Fox Theater would love to bring our tower back to its full glory and show Bakersfield that we are indeed the FOX this New Year! As you can imagine, running and maintaining an 89 year young community icon isn’t cheap or easy, but with your help we can get this done. We have been working closely with the professionals at California Neon to determine what is needed to complete this task. First, because the repairs can only be accomplished from the outside of the tower (a short 90 feet up), we need to bring in a 120ft boom truck to reach the neon. Once up there, we will then need skilled electricians on site to make electrical repairs and replace blown transformers. Finally, a neon artist will be waiting to fix or recreate glass as needed. The Fox Theater Foundation is a non-profit organization which relies on the public for donations to support the mission and vision of the historic Fox Theater building, the heart of the downtown Bakersfield cultural district. Its mission is to enhance the quality of life in Kern County through the effective operation of the Historic Fox Theater as the area’s premier cultural and community event center. Wow, Bakersfield! Because of your generous donations, we’ve met our goal early and are ready to schedule the repairs to get that ‘OX’ back to its former glory of ‘FOX’! We’ve still got plenty to restore at the Fox Theater and are looking forward to seeing you all here for our FREE showing of Back to the Future this Saturday, March 2nd at 1:00 p.m.! Don’t miss the chance of seeing Paul “Doc” Nigh’s DeLorean Time Machine parked in front of the theater before the film begins! We’ll still be collecting extra donations to “save the clock tower,” and you can be assured that all of the money collected will be used for our upcoming restoration efforts. 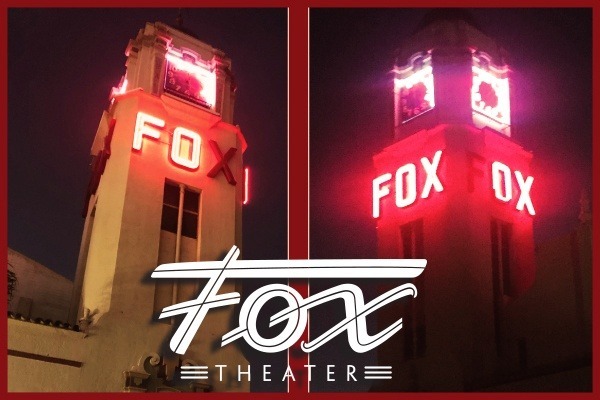 This theater is still standing and operating because of a community like you, and we are grateful for everything Bakersfield has done for the Fox!